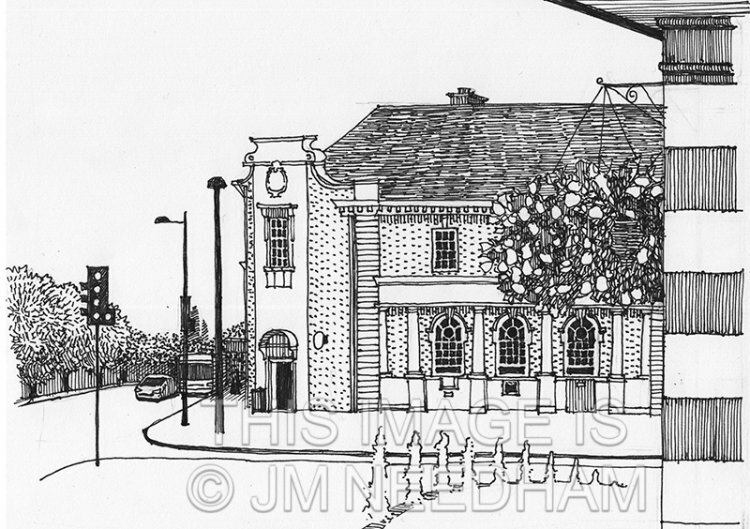 A pen and ink drawing of the town centre of Letchworth Garden City, Hertfordshire. I love drawing architecture, especially windows, and this was a great challenge. Buy this image as a greeting card on Redbubble!